From 6th to 20th October, lovers of contemporary music and its artistic resonance with nature will be able to enjoy a fascinating experience in which concerts, dance, audiovisual projection and the island of Lanzarote’s different stages merge to create an unforgettable experience.  Over two weeks, the festival will offer a range of unprecedented experiences in which different artistic disciplines will combine with the natural essence of Lanzarote.  All of this will take place against four of the Island of Volcanoes’ iconic backdrops: Jameos del Agua, Cueva de los Verdes, the Convento de Santo Domingo and the Centre of Cultural Innovation, CIC El Almacén. 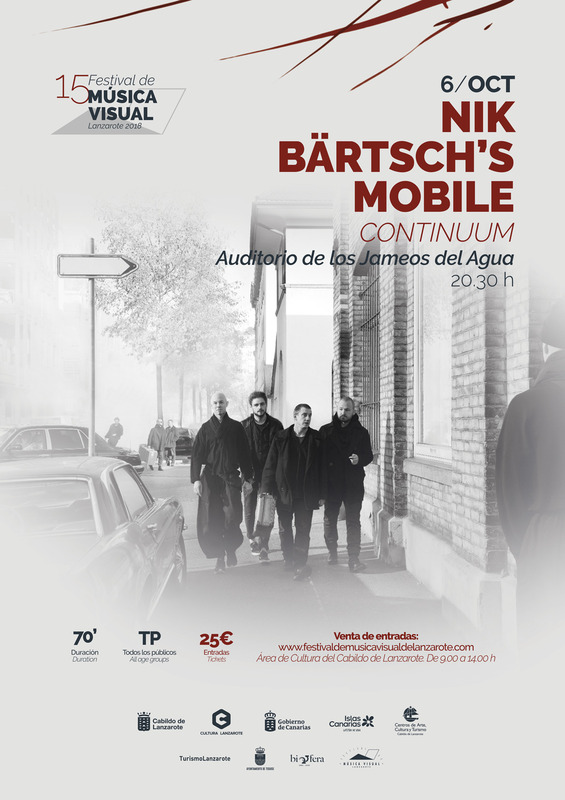 The attractive programme gets off to a start on Saturday 6th October with a concert from the group Mobile with the collaboration of the pianist and composer Nik Bärtsch, accompanied by wind, percussion and marimba from Kaspar Rast, Sha and Nicolas Stocker. They will offer the public an energetic and powerful group sound, blending textures of jazz, funk, contemporary, minimalist and ritual music. 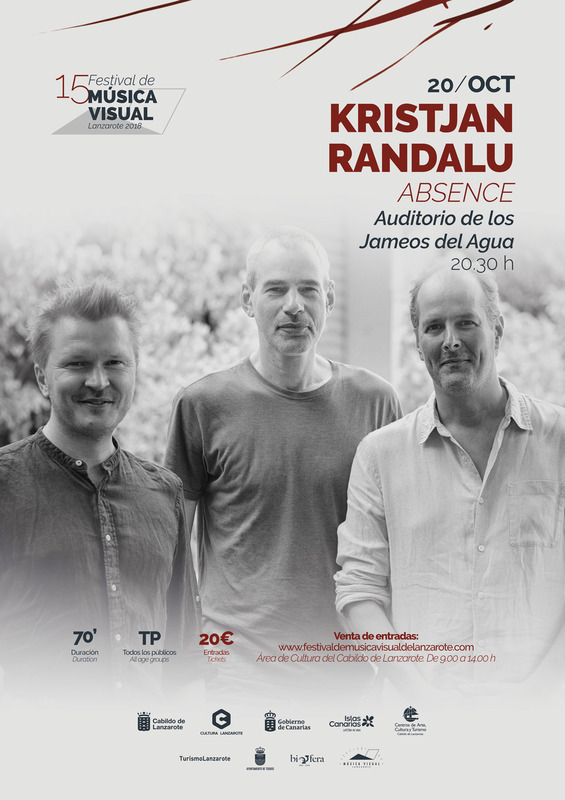 All this will take place in Los Jameos del Agua Auditorium at 8:30 pm. 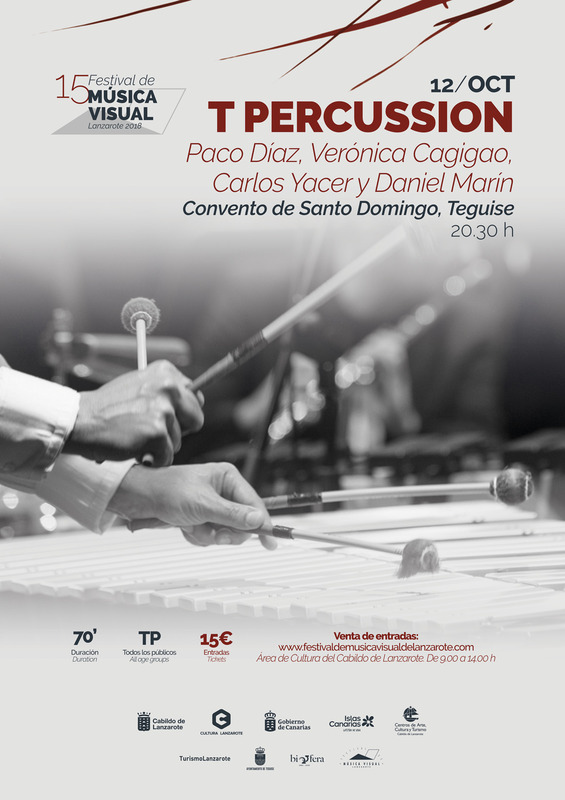 On Friday 12th, at 8.30 pm, the members of T Percussion will perform in the Convento de Santo Domingo. The band from the Canary Islands will perform a repertoire with marimba and vibraphone and the powerful sound of percussion instruments combined with touches of electronic music. 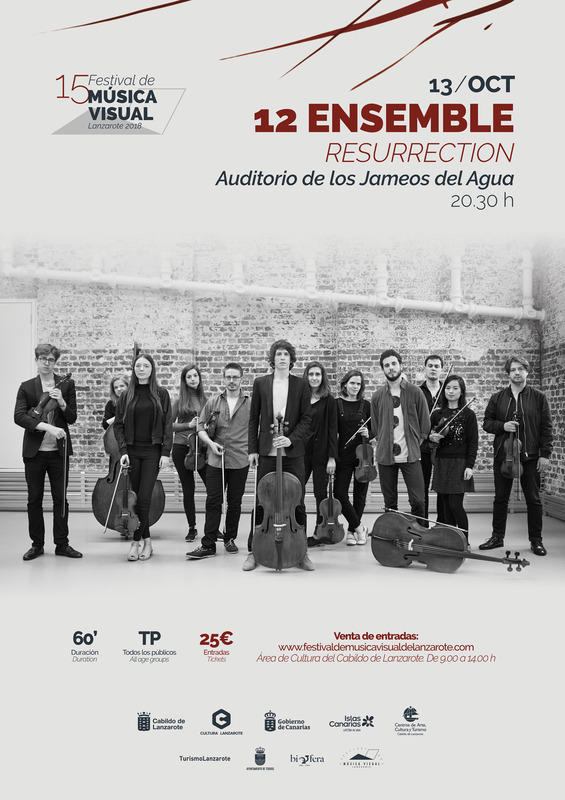 The next day, on Saturday 13th October, at 8.30 pm in Los Jameos del Agua Auditorium, the festival will organise a string concert featuring one of the most important groups from the United Kingdom: 12 ENSEMBLE. Their performances combine energy, excitement and creativity. For this occasion they have prepared a repertoire that, among other pieces, includes the adaptation of a song by the Icelandic band Sigur Rós. 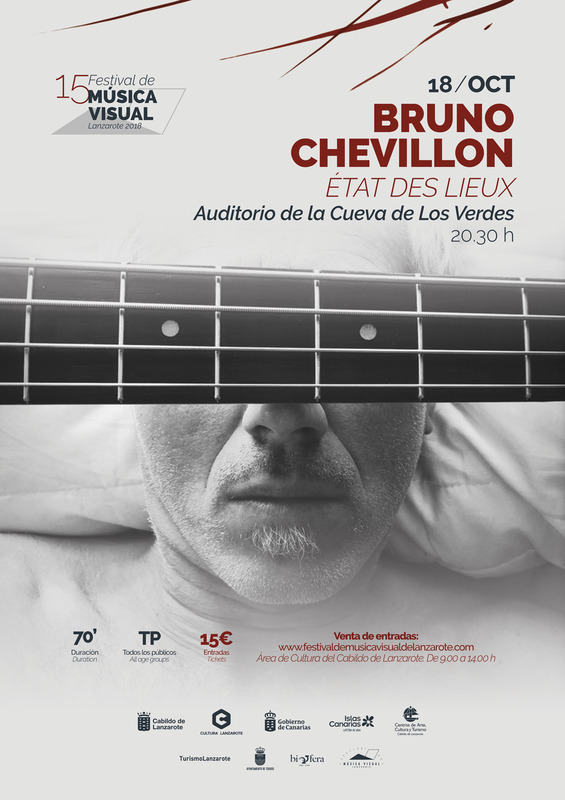 On Thursday, 18th October, the Cueva de los Verdes Auditorium will be the stage of the solo performance by Bruno Chevillon, one of the best bass players on the international jazz scene. 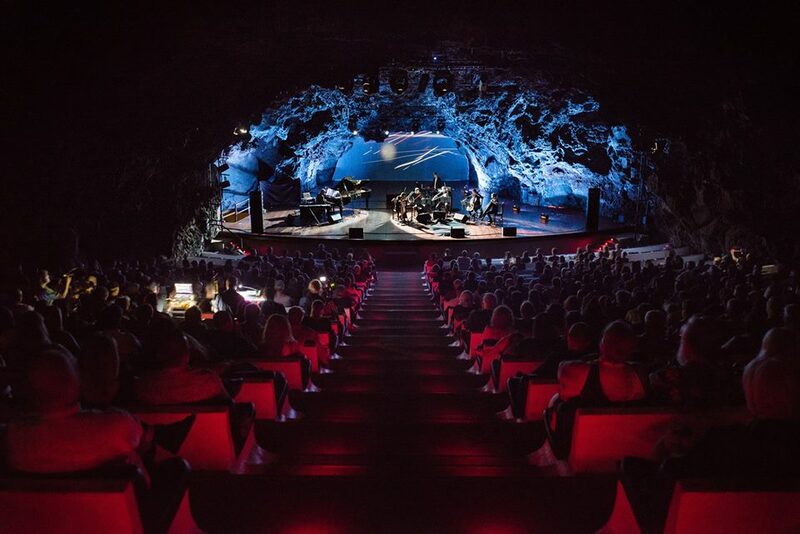 And to conclude the 15th edition of the Lanzarote Visual Music Festival, on 20th October the Estonian pianist Kristjan Randalu, one of the most outstanding pianists of his generation, will perform in the Jameos del Agua Auditorium. With a musical offering in trio format with the guitarist Ben Monder and drummer Markku Ounaskari, they will be presenting Absence, an album released by the prestigious label ECM. 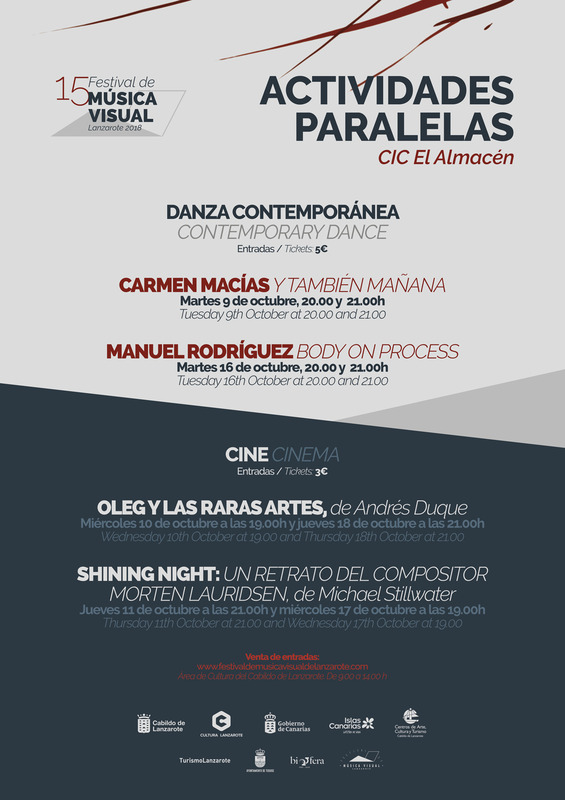 The programme of this magnificent festival includes contemporary dance performances by Carmen Macías and Manuel Rodríguez on 9th and 16th October, respectively, in the Cubo space in CIC El Almacén. Dancer, creator, dance teacher and native of Tenerife, a graduate of the Northern School of Contemporary Dance in England, Carmen Macías will perform her solo piece Y también mañana (And Also Tomorrow), while the dancer, choreographer and visual artist Manuel Rodríguez will delight us with his work Body on Process.